Thirunallar Temple is dedicated to Lord Siva . Lord Siva is known as Darbaranyeswarar here and Goddess Parvathi as Bhogamartha Poonmulai Amman. One will be relieved from Shani Dasa completely or to some extent by having a bath at Brahma Theertham and Praying for Lord siva here in wet clothes. This place was originally called by Darbaranya, as this region was fully covered with Darba grass. Shani Peyarchi festival will be celebrated in a grand as thousands of devotees visit this temple to offer prayers to the deity. 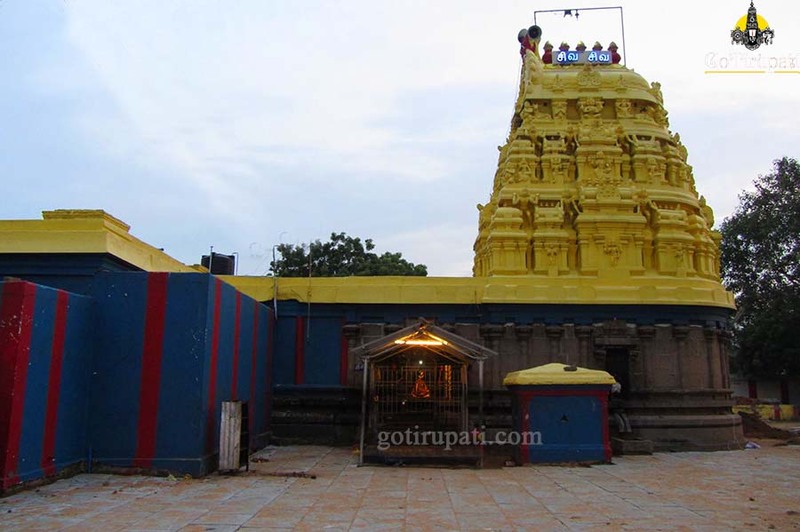 It is said that Sani Bhagavan did penance here for Lord Siva and got relieved from Brahmmahathi dosha. Kuchanur is 30 kms from Theni, and 100 Km from Madurai. Kuchanur Sani Bhagavan temple is known For Shani doshas, Sade Sathi and Elre Sani. Sani Bhagavan self-manifested here. Devotees take a holy dip in the Surabi river before offering prayers to Saneeswara. Poojas are performed in the morning hours, at noon and in the evening timings. Saneeswaran was disappointed for being held responsible for all the woes of human beings. He did penance here for Agneeswarar, Lord Siva at Thirukollikaadu after bathing in the Agni theertham. Lord Siva appeared before him and appreciated Saneeswaran in executing his task as per Karma. He further pleased Saneeswaran by asking him to reside in the temple as Pongu Sani, showering his blessings on devotees. This temple remains open for the whole day on Satruday's.